Dodgeball is an amazing game! It’s even more amazing in our inflatable Dodgeball Stadium! 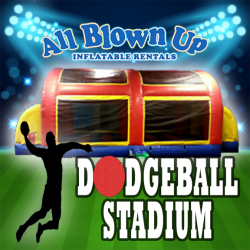 Party goers will have a super fun time trying to dodge, duck, dip and dive . . . and stay on their feet!